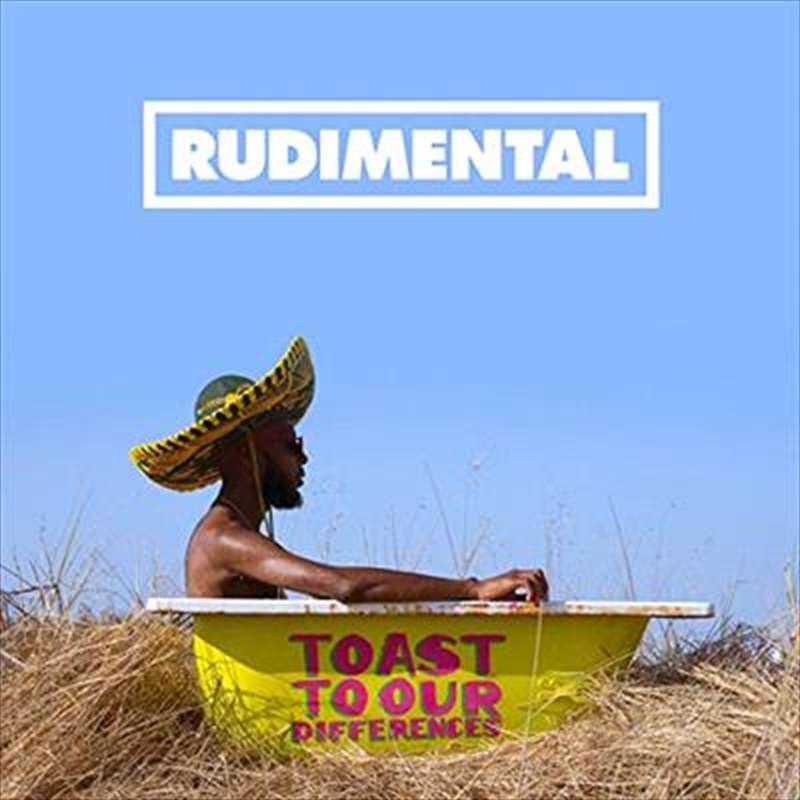 1.5 million single selling British group, Rudimental, return with their third album, Toast to Our Differences. The album features the 2x ARIA Platinum #2 single, These Days, as well as the ARIA Platinum single, Sun Comes Up plus 12 other huge Rudimental hits. The band who have sold over 2 million albums worldwide and had have are no stranger to the Top 10 in Australia with both previous albums being Top 5 debuts. With a social following of over 1.5 Million and over 700 Million YouTube Views, the band continue to break barriers on new pop music and Toast To Our Differences is no different to that. Stepping into the mainstream world, Rudimental has polished up their drum and bass sound to cater towards a new pop market. Their third studio album ‘Toast To Our Different’ is a bi-product of self discovery and a deeper dive into the pop world that they’ve become immersed in. The sixteen track collection showcases their immediate strengths and highlights their experimentation they’ve conducted over the years. Their debut album was successful because it was so different to anything else in the market at the time and because of that they stood out. This also meant other artists started to jump on the bandwagon and experiment with a drum and bass influenced sound. So over the years the band have crept towards a more polished production and have started blending in with everyone else which is unfortunate. So this record they’ve tried to branch out a little further and give some different pop directed sounds. Lead single ‘These Days’ feat Macklemore and Jess Glynne is the albums true centrepiece as it’s euphoric, fun and memorable. And they follow it up with other cool tracks like ‘Summer Love’ feat Rita Ora, ‘Let Me Live’ feat Major Lazer & Anne-Marie, ‘Walk Alone’ feat Tom Walker’ and ‘Sun Comes Up’ feat James Arthur. In between these very strong moments there are some recycled beats that makes some of this album a little bland. ‘Dark Clouds’ feat Jess Glynne and Chronixx should’ve been a big moment in it’s own right but it just comes across a little sonically confused. However the albums coolest and most surprising moment comes from the slick ‘They Don’t Care About Us’ feat Maverick Sabre & Yebba. This reggae meets disco moment is so different to anything else on the record and it’s just so slick, funky and cool. You can’t help but just start grooving along to the slick production and continually hit replay. It’s the albums dark horse and could potentially be a big single for them if they take a giant leap of faith. There’s nothing else like it on the radio at the moment but it’s strong enough that it could start another trend.